Rubber Tube Roller is effectively used in the textile industry, also highly effective abrasion resistance, heavy-duty Rubber Tube Rolls per custom requirement. 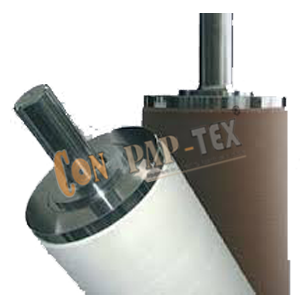 These are used in replacement of Conventional rollers and are used increasingly throughout the industry. Rubber Tube Roller is effectively used in textile State of the Art technology to remove complete ovality from the existing tube rollers and to prevent them in the future a special development of SS Rings has been provided. – Used for Mercerizing Machine. – Best quality ‘Rubber-to-Metal’ bonding achieved by seven types of chemical. – Highly effective abrasion resistance.